Sergeant Hinkle you are a hero to all who knew you. In over 40 plus years I have known you not once did I ever hear you have a cross word for anyone or anything. Heaven is a brighter place now that you are there. Your memory will live for ever at SCSO. No coffee will ever be drank without thinking of you. Rest well my brother and friend til we see each other again. Sgt. Hinkle you are a hero in every since of the word. In the 40 plus years I knew you I never heard you say a bad word about anyone or anything. The way you lived was an inspiration to all who knew you. Heaven is a brighter place now that you are there. Thank you for being a great friend and coworker. Watch over us as I know you wil, love you brother and will see you one day. Sergeant Hinkle, you were a hero in the truest sense of the word, and for your selfless dedication to your bravery, your reward in heaven will be abundant. May our Lord immerse you and your loved ones in His Divine Mercy. Rest in peace, good and faithful servant. I'm a civilian who cares & appreciates the dedicated and unselfish service rendered by our police officers. I pray for them everyday, living or dead. Sgt Hinkle, you were so close to retirement and yet you bravely answered the call! I salute you and I am grateful for men and women like you. You, Sir are a Hero and I am sure you are watching over all of us now from Heaven's view. May God Bless you and all those that love you. He hoped his boots were shining. Just as mighty as his brass. Because those of us who carry badges can’t always be a saint. When the bills got too steep. May God keep and Protect you my Brother. Rest well, your work is done. Bless your soul. Thank you for your service sir GOD BLESS. Rest In Peace brother. Thank you for your service. Semper Fi. Andy. Sergeant Hinkle lived his professional career as a mission and service to others. He will be missed greatly, but his legacy to family, friends, and community will remain. Very sad loss. Your service is appreciated. Prayers to your family and your department. RIP, Sgt Hinkle. Praying for you and your loved ones. My deepest condolences to the entire Hinkle family, and to his brothers and sisters with the Sullivan County Sheriff's Office. May Sergeant Steve Hinkle's soul forever rest in Heaven, and may God bless his entire family. There are and never will be words to express the sorrow or sadness we have. May God welcome you with open arms. I read a quote somewhere that seems to be most fitting here.
" We should not mourn men such as Sgt. Hinkle but rather we should thank God such men exist." 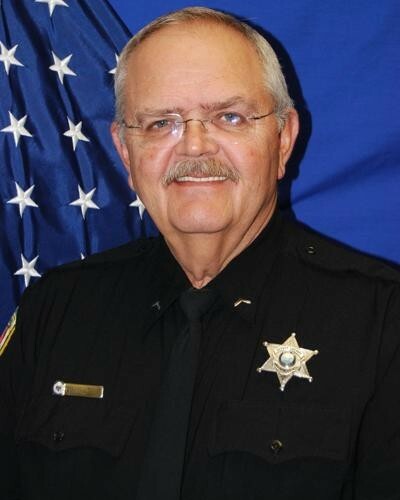 With deep sorrow for this loss, the men & women of the Abilene Police Department extend our prayers for comfort and peace to all who loved and worked with Sergeant Steve Hinkle over a long career. His commitment to law enforcement stands as a reflection to his core of service and justice as he sought to be a vessel of goodness in his community. our heartfelt condolences to the family (blood and blue) and friends of Sergeant Hinkle.